OpenShot Video Editor is totally free and open-source video editing software that is compatible with Linux, Mac and Microsoft Windows. It is promised to be equipped with many wonderful features, such as powerful key frame animations, unlimited tracks and layers, hundreds of video transitions, video trimming, cutting, resizing, rotation as well as audio mixing and editing, etc. However, this freeware also has some weaknesses like instability issues, always crashed, slow and sluggish video previews, according to some users. Thus, here we introduce 5 best OpenShot alternatives for users who want a replacement. The first best alternative to OpenShot Video Editor recommended here is definitely Joyoshare Media Cutter. 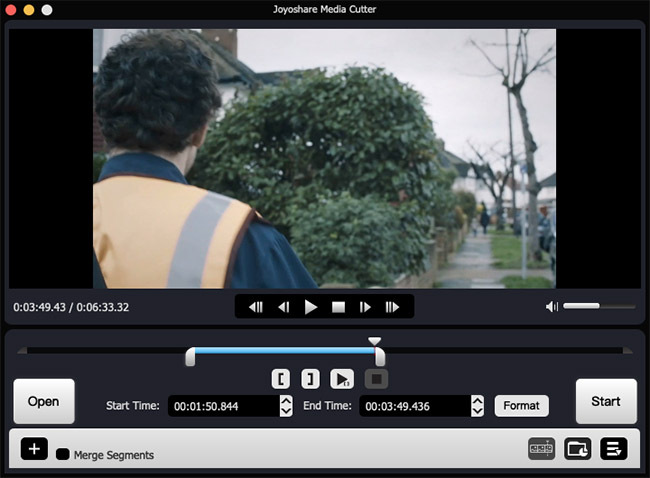 Available for both Mac and Microsoft users, Joyoshare Media Cutter is an easy-to-use yet professional audio and video cutter joiner and editor. With the software, you are freely to trim any video without any damage in quality at a quite fast speed. You can also remove the unnecessary parts of the video, create a ringtone for iPhone or Android phones, extract audio from the video etc. In addition, you’re enabled to rotate a video and save it permanently, change the aspect ratio of the video clips, adjust the brightness, saturation and hue, add watermarks, subtitles to video, etc. Another good OpenShot alternative is Filmora Video Editor from Wondershare. It offers both Easy Mode and Full Feature Mode for users to choose based on their own requirements. The former allows you to do a quick cut and edit while the latter gives you an opportunity to control over all the editing of your video file. Besides, Filmora provides you a large video effect library, so you can create your movie in the way you desire. If you still want a free alternative to OpenShot for simple and single task, you can try Avidemux. This is a free video editor that works well on Microsoft Windows, Mac OS X, Linux and BSD. 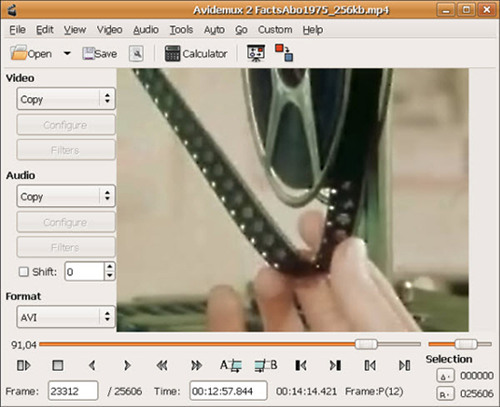 Avidemux is very easy to operate, even if you’ve never cut or edit your own video before. You can use it to do the simple cuts and edits in a few clicks only. You can also copy and delete some sections, and add one clip to another, etc. The program supports various file types like AVI, MPEG, MP4, ASF, etc. It is another good OpenShot alternative for Windows, Linux, BSD, etc. 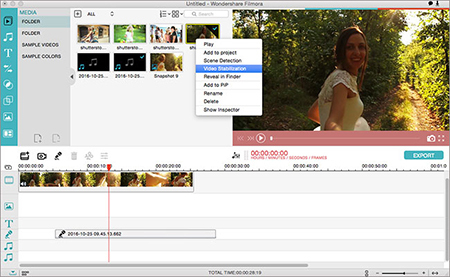 Kdenlive is also a free and open-source video editor, but it contains many more features compared with OpenShot. Like OpenShot, Kdenlive also offers keyframeable effects and real-time previews. Moreover, it supports multi-track video editing, using any video/audio format without re-encoding, dozens of effects and transitions, automatic backup, configurable keyboard shotcuts and many more. The last OpenShot Video Editor alternative introduced here is iMovie for macOS and iOS. 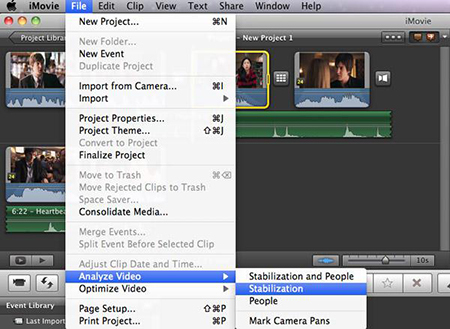 Developed by Apple, iMovie is a free video editor preinstalled on your Mac. Editing a video with iMovie is extremely easy. You can also cut or edit the video on any of your iOS devices including iPhone, iPad or iPod touch. The program provides many high quality titles, special effects, filters, soundtracks, etc for you to enhance and create a Hollywood-style stunning film. These are some of the best OpenShot alternatives recommended here; of course there are some other competitive and similar software in the market. To save your time for searching more, you can try these. If you’re still seeking for a free video editor similar to OpenShot, you can try Kdenlive or Avidemux. If you’re a Mac user, iMovie can be a good choice. But if you’re fed up with these free ones, just try to use Joyoshare Media Cutter for Windows/Mac.